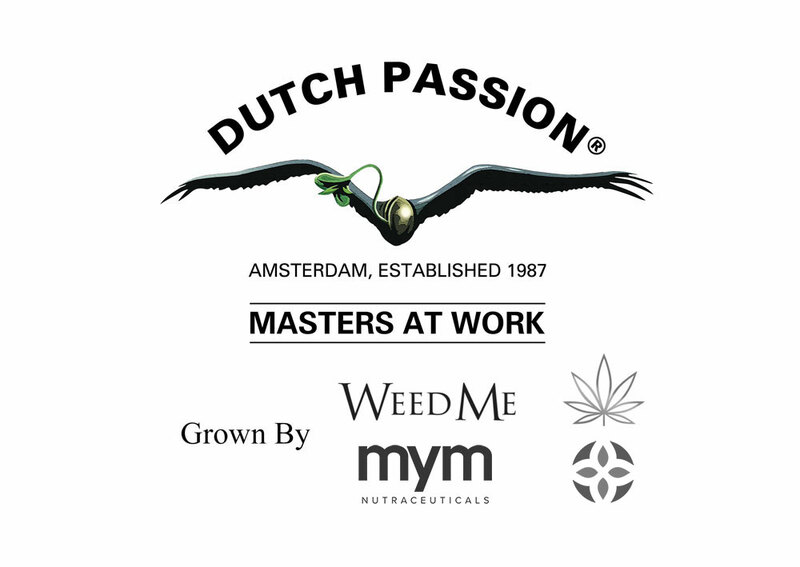 Dutch Passion are pleased to announce two important partnerships for international medical cannabis and seed production in Australia and Colombia with MYM Nutraceuticals, and in Canada with Weed Me. The two year agreement with MYM gives rights to produce and distribute medical cannabis products as well as cannabis seeds produced from Dutch Passion genetics in Australia and Colombia. The partnership with Weed Me allows them use of Dutch Passion genetics and cultivation expertise. The partnership also provides Weed Me with the Canadian branding rights for Dutch Passion-branded products such as branded buds/dry flowers and pre-rolled joints. As international markets for high quality medical cannabis are growing, Dutch Passion have been asked to provide expertise and genetics from some professional and ambitious international companies who want to produce the very best cannabis from premium quality seed genetics. These are exciting times for the expansion of medical cannabis, thanks to these initiatives more people will be able to enjoy high quality cannabis. Why partner with MYM and Weed Me for medical cannabis cultivation? Although there are many companies involved in legal medical cannabis production, Dutch Passion purposefully selected partners with the most ambitious plans for high quality, high-tech production facilities. For Dutch Passion, the best partners for their high quality cannabis genetics are highly professional organizations who can demonstrate a genuine desire to build the best quality cannabis grow facilities and create a sustainable model for the longer term. Dutch Passion were impressed with both MYM and Weed Me who bring genuine passion and commitment for growing the best genetics in an optimised environment using the best technology. The deals for medical cannabis production in Canada and Australia are both ‘quality first’ arrangements with no corner-cutting. Both projects have invested in state of the art grow technology and best cultivation practices. The legacy from these projects in Canada, Australia and Colombia will be world-class cannabis cultivation centres which will produce thousands of tons of top grade cannabis in the coming years for medical cannabis users. Dutch Passion allow MYM exclusive rights in Australia and Colombia to produce and distribute under the Dutch Passion brand, all products that Dutch Passion sells currently and may sell in the future. This includes clones, flowers, pre-rolled joints and other cannabis products/extracts. Australia is poised to be one of the worlds leading producers and exporters of cannabis products thanks to the sunny, warm environment which allows low production costs in climate controlled greenhouses. MYM Nutraceuticals are a Canadian based company with extensive experience in the cannabis industry. They were formed in 2014 and already have several subsidiaries: CannaCanada Inc., Sublime Culture Inc., HempMeds, Budly Software Inc. MYM are leaders in construction of specialist cannabis cultivation environments for the production of premium quality cannabis. The Northern Rivers Project is owned by Solaris Nutraceuticals, which in turn is 35% owned by MYM Nutraceuticals. It’s a 1.2 million square feet greenhouse project. When finished it is expected to be the largest cannabis greenhouse in Australia. It will be equipped with state of the art cultivation technology to ensure an optimised grow environment for the production of the highest quality cannabis crops. The first crop is expected to be planted in the second quarter of 2019. Solaris Nutraceuticals received a grant of AUD $2,500,000 from the Federal Department of Innovation, Industry & Science for this project. One of the advantages of growing cannabis in Australia is the warm and sunny climate. With one of the sunniest climates in the world, greenhouse cannabis cultivation is an obvious and efficient way to grow cost-effectively. South America is rapidly embracing legal cannabis, the project in Colombia will allow Dutch Passion and MYM an important foothold in a fast evolving market. Canada has legalized both recreational and medical cannabis, and over the next few years Canada intends to show the rest of the world how cannabis can be produced, sold and consumed safely without any black market involvement. It’s a fast growing market focussed on the highest quality approach. Many people expect Canada to set the standards for world class recreational and medical cannabis cultivation. Dutch Passion are excited to be involved in the partnership with Weed Me in Canada. Weed Me was one of the first Canadian cannabis producers to be given the ACMPR (Access to Cannabis for Medical Purposes Regulations) license in Canada. Their cannabis production facility is thirty minutes outside Toronto and uses proven and tested cultivation methods alongside a highly qualified team. They specialise in growing organically without pesticides, and aim to become Canada’s largest highest quality cannabis producer. As well as selling cannabis to the Canadian public, Weed Me plan to export their products internationally to meet growing global demand and are building an extraction lab, and a 1,200-square-foot research/testing lab, which is expected to be completed later in 2018. Weed Me have created a high-tech grow facility with state-of-the-art cultivation conditions which are ideally complemented by Dutch Passion’s elite cannabis genetics. Brian, 16th August 2018. You can already buy our seeds from 3 shops in Colombia, details are here https://www.dutch-passion.com/en/dealers/colombia/ Currently we don't ship seeds directly to Colombia customers from our website, but if that changes you will see it here https://www.dutch-passion.com/en/faq/faq5/ Hope this helps !